Have you heard of custard squash? I never heard of these before. One of our friends gave some squashes to us. I didn’t know what kind of squashes they were! So I searched on the net and gathered some information about these squashes. I came to know that these are also called as “Pattypan Squashes”. More information about these squashes can be read here and here, if interested. Heat oil in a pan and add mustard seeds. When they splutter add cumin seeds + coriander seeds + fenugreek seeds and finally red chilies. Sauté for some time and then transfer to a plate and keep aside. In the same pan, add the chopped squashes and sauté well for some time. Also add turmeric and hing and mix well. Turn off the flame after some time. Later, add all these to a blender and grind into a smooth paste by adding tamarind pulp and salt. Add little water as needed. That’s it! 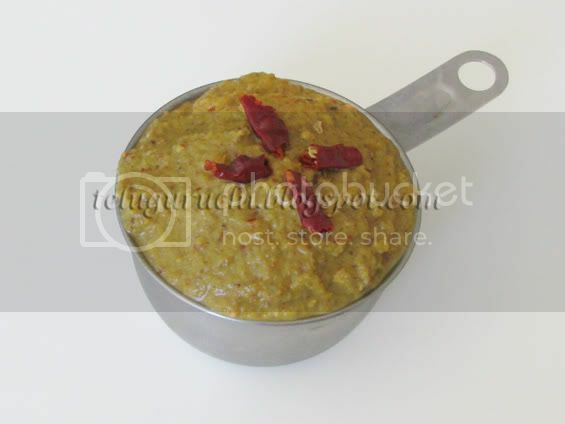 A mouth-watering pickle is ready to eat with steaming hot rice!! Yummy!! Yumm! !spicy squash pickle sounds interesting and delicious Uma..
hi only a few days had start to read ur blog. its interesting. keep it up. different and nice....never heard of this pickle..looks delicious! You are a true telugu gal.. any veggie is made into a chutney...Great going. Looking forward to the maha change in your place. Nice yummmmmmmmmmmmmm pickle to go with anything. Never heard abt custard squash before.Very new to me. Looks really yumm, ,ever owuld havethought of making pickles with squash. Looks yummy , love chutney in any vegetable. Nice innovation.....must try this squash.Hey I guess its going to be your blog anniversary?What ever it is all the best. Lovely chutney...are you going to have your new domain? Thats sounds a great and interesting pickle..great job!!yummy!! I have seen this squash but never used... Pickle sounds good idea to give a try! R u going to get ur own domain? 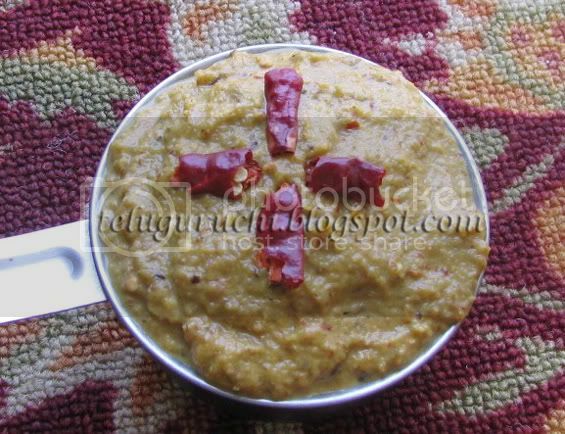 A very different chutney... looks yumm. You turn any ingredient into very traditional dishes..Love it!Can;t wait for the surprise! Looks lovely and can't wait till next week. Have seen pattypan squash in Farmville!! :P Looks appetizing Uma. I too have seen this beauties in store,looks yumm! You must be changing ur camera to DSLR camera!! How cute those squashes look! They exactly look like custard pies! Anyway, the idea of making pickles out of these must be simply delectable and awesome! Uma, Thanks for the info about the custard Squash. Never heard abt them but I vaguely remember seeing them. Your chutney looks yummy. Have never tried making chutneys with all these different vegetables. Also eagerly awaiting your new LOOK !!!!. Sounds new to me. Very spicy & hot.